Smartwatch vendor Pebble has debuted three new gadgets: the Pebble 2 and Pebble Time 2 smartwatches as well as a new device that's not a smartwatch - Pebble Core. The $69 Pebble Core is rather like a connected version of the iPod Shuffle. It clips onto your clothes in the same way and enables you to plug in whatever headphones yoiu choose - though it doesn't have Bluetooth as it doesn't need to be paired with your phone. In fact, it's designed so you don't need to use your phone at all (well, while you're exercising). Sadly Pebble Core doesn't ship until January (!) but will be great for if you don't want to run with your phone and, better still, if you don't have a fitness watch like a Garmin - it has GPS plus a SIM slot for 3G data connectivity and so can track your run. Pebble Core is available in white or black. The Pebble 2 and Pebble Time 2 are, predictably, enhanced versions of their predecessors but now with a bit more of a fitness focus - both have a built-in heart rate monitor as well as a microphone for voice notes and commands. We love the look of the Pebble Time 2 especially. Both feature an “updated version of Pebble's OS that enables one-click actions” so you can check your calendar or order an Uber from your wrist. Pebble Time 2 has a new colour e-paper display that's more than 50% larger than its predecessor with a higher resolution of 80% more pixels. It lasts up to 10 days on a single charge. As before, both watches work with iOS and Android. 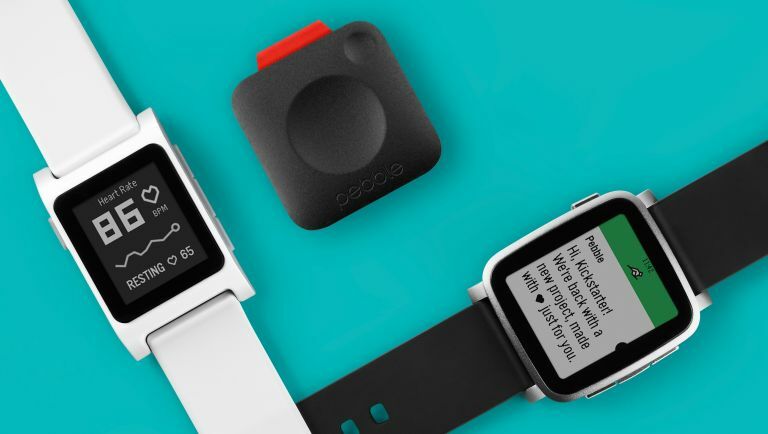 Pebble 2 is available to pre-order in five colours starting at $99. It starts shipping in September. Pebble Time 2 is available to pre-order now starting at $169. It starts shipping in November. Buy Pebble Core, Pebble 2 and Pebble Time 2 on Kickstarterplushy not check out our guide to the best smartwatch?